You know when you find something for your wardrobe that you just have to have? That's how I felt about this lucite tray for my bedroom/extensive decor collection. 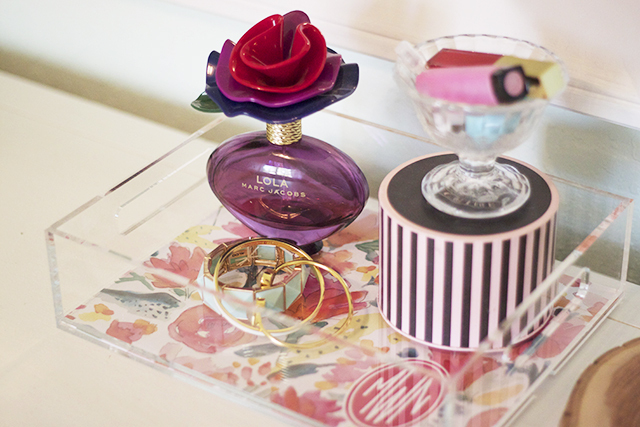 Trays are one of my favorite accessories because it suddenly takes a hodge podge of trinkets, beauty products, whatever you might have, and makes it look like a neat, style vignette. It's also a great catch-all for mail and magazines. My friend and talented artist, Laura of Laura Dro Designs, has the most adorable trays (among other things!) and just recently re-launched her shop. 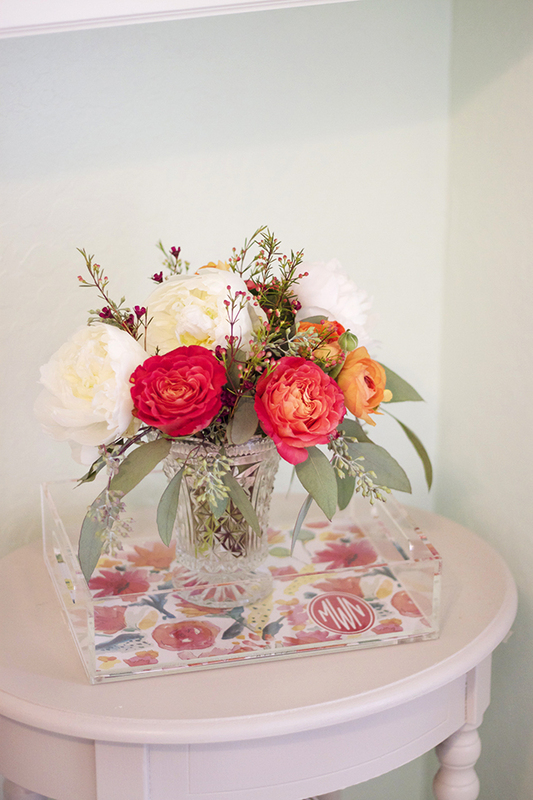 The great thing about these lucite trays is that they come with a removable design for the bottom of the tray, which enables you to change them out with your mood, the season, etc. For now I'm in love with the bright and cheery modern watercolor flowers print, but I would love to try the customizable monogram or photo option one day. 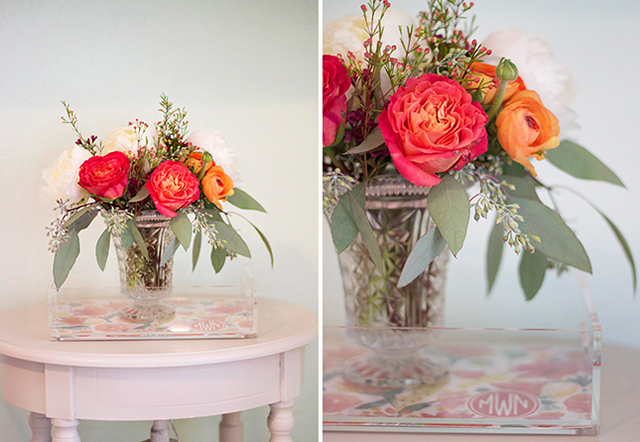 To give you a few ideas of how to style a tray, I've styled my new piece from Laura two ways. 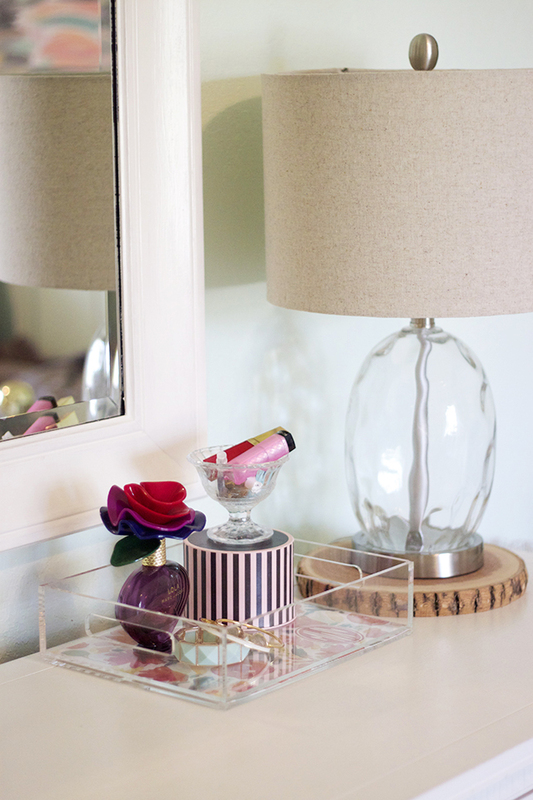 Look One: On the dresser filled with jewelry, perfume and lipsticks. Look Two: On my nightstand housing this gorgeous bouquet of flowers. The bouquet would have looked a little out of place on it's own, but on a tray? Perfection. oh i love it for makeup, accessories, etc! so pretty! i absolutely love this tray! Such a cute tray and I'm drooling over the lamp too! I love it with your jewelry and perfume inside! Adorable! 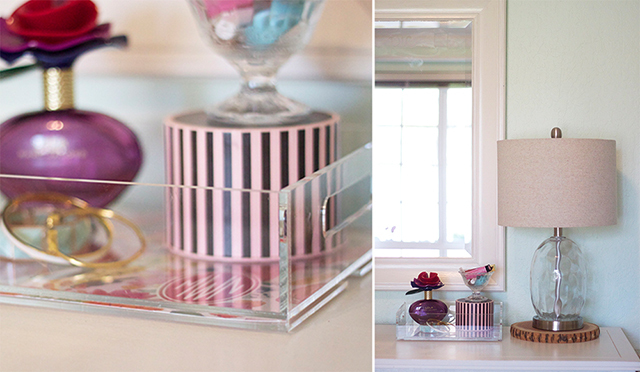 “drop in Lucite trays lined in velvet are perfect to sit in any drawer. and you can remove or ... look for the clients, this home is a true representation of their style. 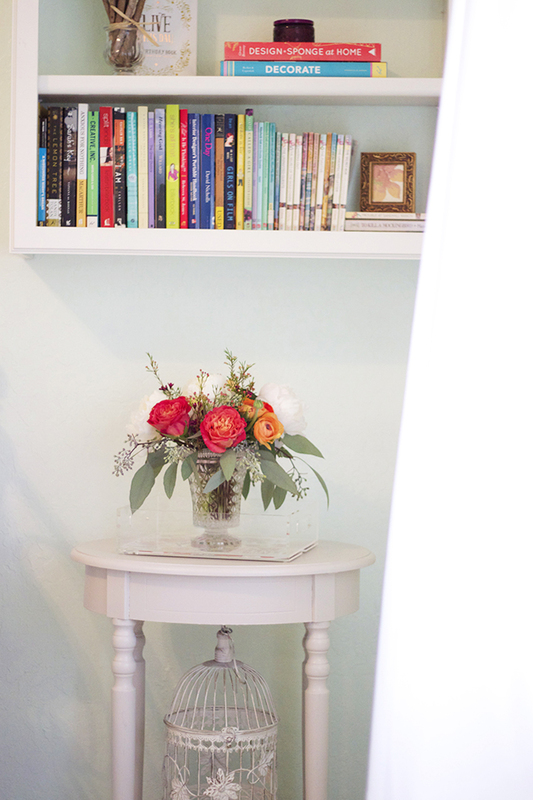 Our last DIY gift project is a great one! 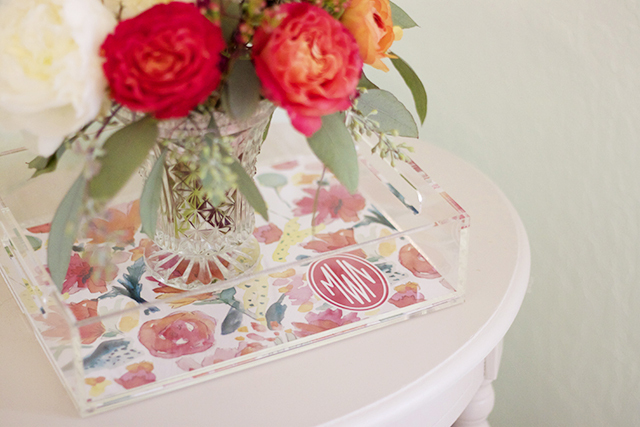 Lucite trays are all the rage. Everyone either has one or secretly or in my case not so secretly wants one. i love the way this space is styled. you have such great eye. okay done stalking...for now.